The commute couldn’t be beat. When sitting in traffic along the way to New York’s Lincoln Center from my home in New Jersey, I can’t help wistfully recalling a time when I could take a boat to work. The high-speed ferry ride lasted 11 minutes over the most beautiful harbor in the world, docking at Sydney’s busy transport hub, the Circular Quay, within steps of my destination: the breathtaking Sydney Opera House. In 2013, I took a job as Concertmaster with the Australian Opera and Ballet Orchestra (AOBO), one of three full-time professional orchestras in residence at the Opera House. My eight-month term of employment there was a trial situation, which for family reasons I decided to terminate at the conclusion of the trial. I was on leave from the Met Opera Orchestra, where I am an Associate Concertmaster. It was wonderful for me, after 27 years at the Met, to have the opportunity to work in another major opera house, where I discovered both similarities and differences in the workplace culture. The AOBO’s parent organization is Opera Australia, which, like the Met, is a repertory company. There are typically three or four works in performance during any given week, while the orchestra might be rehearsing upcoming repertoire during the days. Opera Australia is a large company that performs in other parts of the country as well, using local orchestras in the various cities. The AOBO’s full work year stretches across 11 full months, including two periods of opera, each lasting about four months, interspersed with two seven-week stints playing for the Australian Ballet. From mid-May to mid-June the theatre is dark and the AOBO musicians scatter all over the world for their Annual Leave. My trial encompassed summer and winter opera seasons and the intervening autumn ballet. 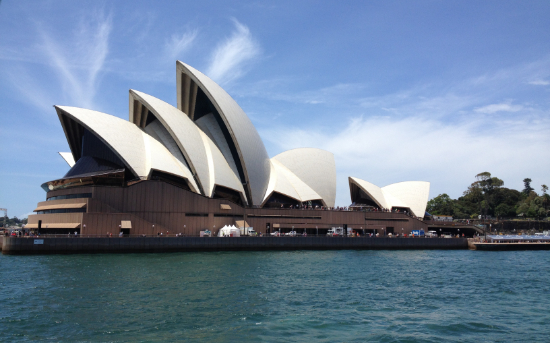 A note of explanation about the Sydney Opera House: the name of this iconic structure is misleading, since opera is only one of the cultural arts on offer there. It is actually a bustling performing arts complex under one roof, housing multiple venues and hundreds of performances of all description each year. The Concert Hall, home of the Sydney Symphony, is the biggest performance space. The opera and ballet companies share the smaller 1,500-seat Joan Sutherland Theatre. The stage and pit are too small to mount large-scale productions, and there have been acoustic problems with the space from the beginning. As a result, the AOBO faces formidable challenges every night, playing in a pit where they can’t hear the stage well, can’t hear each other well, and can’t sit in normal orchestral formation. The brass play behind a plexiglass wall. The percussionists are so far back under the stage that they watch the conductor on monitors. Dynamics are difficult to gauge because everything sounds loud in the pit, yet it is hard to know what is projecting into the auditorium. Despite the problems inherent in the venue, the dedicated and skilled musicians of the AOBO deliver excellent performances, night after night. Almost since the building opened for business in 1973, there have been numerous proposals put forward for improving the acoustic and/or remodeling the entire theatre. In 2017 the Opera House will be undergoing a A$200 million refurbishment, necessitating closure of the Joan Sutherland Theatre for seven months. Most of the planned maintenance is mechanical, but there will be some modifications to the pit floor and ceiling to increase volume of air space, and a new sound enhancement system will be implemented. It is doubtful whether these renovations will be sufficient to transform the hall into a world-class opera venue. According to former AOBO committee chair Mark Bruwel, the long-term hope is that “one day we will either completely rebuild the JST within its famous Opera House sail or have a purpose built theatre built just near the Opera House.” During the period when they will be displaced, AOBO will still be gainfully employed, playing ballet, musical theatre, and some concerts at an alternate venue in Sydney. Australian laws are very stringent about health and safety in the workplace. Because of the sound problems in the Opera House pit, orchestra management takes decibel level readings for each section of the orchestra several times during the run of every production. The findings are tabulated and distributed to the orchestra, and projections are made about noise level exposure over the course of each workweek. Some brass and wind players, whose noise readings exceed a threshold, are required to play fewer services without reduced pay. The AOBO’s hearing conservation policy includes management of portable sound screens, mandatory annual hearing tests and availability of earplugs. Opera Australia also offers a variety of optional health-related programs and courses which any employee can take advantage of. For example, I worked with a psychologist who taught mindfulness techniques to address performance anxiety. At Opera Australia, concertmaster of the AOBO was a senior management position within the company. I met regularly with the General Manager for the orchestra, as well as the Artistic Director and other executives within the company. There were numerous other meetings that required my attendance, having to do with a wide range of issues. In fact, all the musicians are expected to attend many more meetings than I was used to from the American orchestras I have worked for. The AOBO’s contract specifies larger call counts than the number of services they actually play. The large number of calls on paper reflected the various mandatory committee and general meetings, in addition to played services (rehearsals and performances). Even though I was in a trial period myself, I served on several audition panels during my time with the AOBO. The early rounds were held behind a screen, but the screen was removed for the final round. During auditions at the Met, we are contractually forbidden to discuss our impressions with fellow jurors before casting votes. By contrast, in Sydney we held extensive discussions after each round, each panelist being encouraged to express our preferences. We were invited to comment in rank order—for example, in a violin audition, concertmaster spoke first, then associate concertmaster, then principal second, associate principal, and so forth. I remain convinced that there is no “perfect” or foolproof audition system. It is true that open discussions can allow some very vocal or opinionated panelists to exert influence that might sway less decisive colleagues before the vote. Still, in the case of a French horn audition, I appreciated hearing reactions from the members of the section, since I am not a brass player. Based on my years of experience at the Met, I considered myself well qualified for this position. I was extremely comfortable with the opera repertoire, although the ballet component was new to me. My opening night in Sydney was to be La Bohème, which I have played hundreds of times over the course of my career. When I got into rehearsal with the AOBO, I found that their parts were marked with some bowings that were opposite to those I was used to. Southern Hemisphere bowings? Not better, not worse, just different. I quickly abandoned the notion that I was “right” just because I was used to some different conventions. When we played Carmen, another work that I thought I knew backwards and forwards, I encountered a “new” solo in an orchestral interlude—new to me, that is. Proof that there is always more to learn! At the Sydney Opera House, there is a shared employee lounge for all the venues, a large open space joining the two large wings of the building. This Green Room boasts a prime view of the famed Harbour Bridge, plus a cafe and vending machines, tables, chairs and sofas, and a fully-stocked wet bar. Often after an opening night, drink chits would be distributed to the orchestra and many of us would stay to unwind together, rehashing the high (or low) points of the performance. The AOBO are an amiable bunch and I dearly miss my friends there. Despite our different backgrounds, ultimately the music brought us together. We were hard-working musicians from all over the globe, playing magnificent music together in a building considered to be one of the new Wonders of the World. I feel very privileged to have had the chance to work with my talented colleagues in the AOBO. The Author is Principal Associate Concertmaster with the Metropolitan Opera Orchestra. 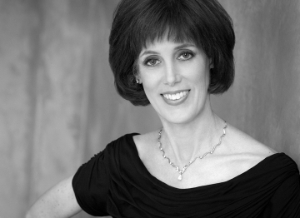 She was previously a member of the Chicago Symphony and the New Jersey Symphony.